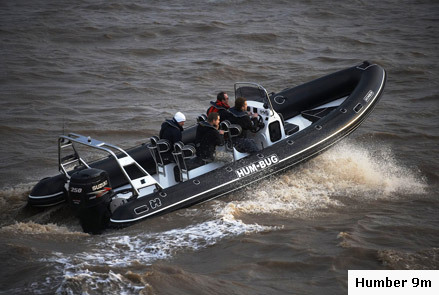 This shallow ‘V’ model range offers all the qualities of a Humber RIB with the additional advantages of an inflatable craft. Both are easy to launch and recover and have the capabilities to operate in shallow waters inaccessible to a deeper V hull. Unique in its field and a popular fleet boat, organizations including British Antarctic Survey have operated this model range in extreme Antarctic conditions for over 20 years. 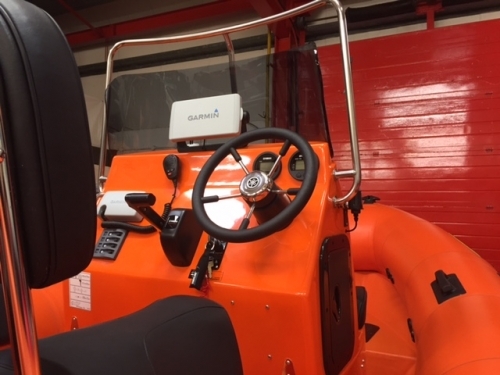 It is also popular choice with River Authorities, Police, Fire and Rescue organizations who benefit from its shallow draft and versatility. 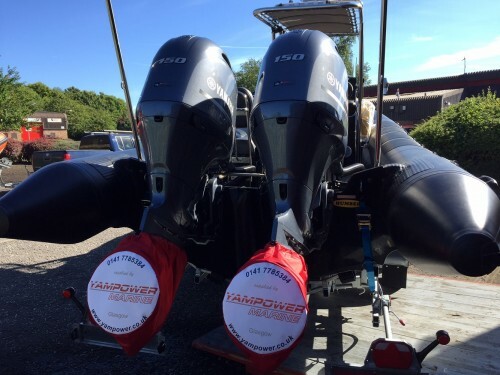 A large diameter inflation collar combined with a moderately high bow provides a safe, comfortable dry ride whilst offering increased buoyancy and stability. The high performance of the multi chine hull design provides outstanding acceleration and responsive handling when compared against deeper V hulls. 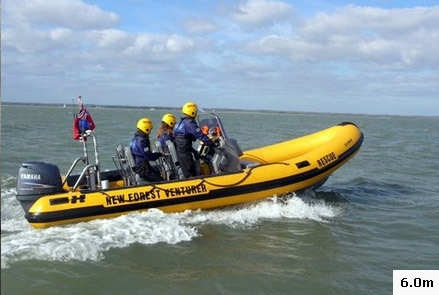 As less horsepower is required to plane this RIB fuel efficiency can be another obvious advantage. 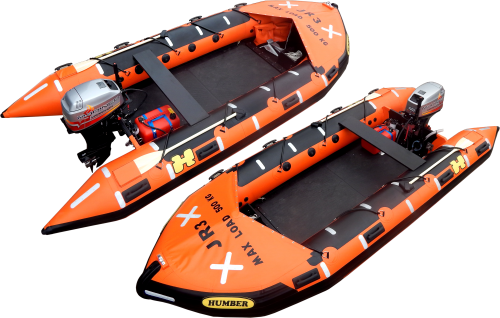 Both craft have exceptionally high loading and carrying capabilities and unlike most other rigid inflatable, the 4.8m model can be rigged with long or short shaft outboard motor. 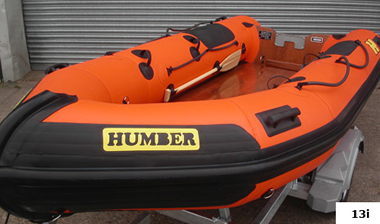 Similar to conventional inflatables, both models have also been designed to cater for remote control or tiller steering. 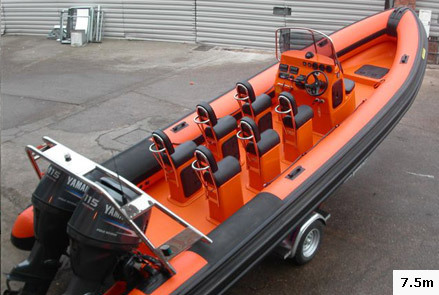 The significant savings and low maintenance upkeep of a tiller system also can make this an attractive and affordable package whilst creating additional deck spare for passenger and/or equipment. 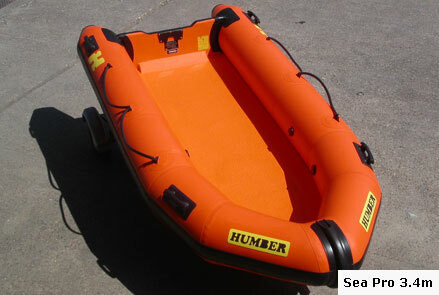 The 4.8m is capable of carrying a typical load of 6 divers with kit whilst achieving planning speeds with a 40 hp motor.